Healthcare delivery, especially in the primary care sector, is increasingly becoming multicultural and multilingual in character. This global reality manifests itself as communicative challenges in interpreter-mediated consultations, involving professional as well as family members in the role of interpreters. 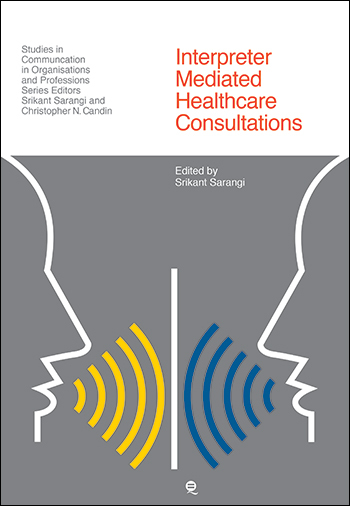 The contributors to this volume, drawn from different parts of the world (Australia, Germany, Italy, The Netherlands, South Africa, Spain, Sweden, Switzerland, UK and USA), share the view that interpretation in the mediated sense is more than linguistic or literal translation, thus going beyond the conduit model of communication. As the empirical studies illustrate, the interpreters – professional or non-professional – position themselves actively in the interaction as their roles and participation formats become situationally and culturally embedded, albeit in varying degrees in different phases of the consultation.